For any trial lawyer, writing an opening or closing statement is one of the best parts of a trial. It lets us use our writing skills, speaking skills, and persuasion skills like no other moment of trial. I happen to believe that the opening statement is the single most important part of a trial. Blow the opening by showing documents not yet in evidence, reading your opening from a script, misusing your time, not telling a story -- and you put yourself at a severe disadvantage from the outset. Nail the opening and you are doing more than just starting off on the right foot. Some astute trial observers believe that 80% of cases are won or lost in opening. Sitting down and drafting an opening, especially one of more than an hour’s length, can be especially daunting. Fortunately, the great speakers of today and of the past, as well as persuasion theorists, have developed practical ideas that can be applied to the drafting of an opening statement. One technique that should be avoided, though, is simply sitting down to write your opening in Microsoft Word. Like setting off on a hike without a good plan, this technique will usually end up leaving you feeling lost. 1. Go old school. 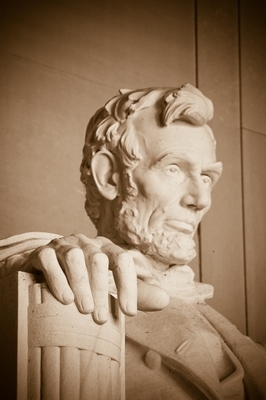 It is said that Abraham Lincoln kept notes in his hat as a technique for writing speeches. Lincoln, of course, wasn’t able to resort to a smartphone, but you are. Today, leaving snippets in a notepad application is an excellent way to build up an opening statement. Each time a great idea comes to you, you simply store it in the same app, and if you use iOS devices, this ends up getting synched across your iPhone, iPad, laptop and desktop instantly. 2. Use mind mapping techniques. We've written about mind mapping before, and we offer it as a service to help trial teams organize their thoughts around an opening or the overall case strategy. Mind mapping describes the very useful and sensible process of making large outlines that are usually printed poster size and tapped up on the first chair litigator's wall. 3. Follow the Post-It approach. Although I tend to prefer the use of mind mapping, this is still a favorite technique of mine. It works as follows: First, use a pad of Post-Its to write down all your thoughts about an opening statement, one thought per Post-It. Second, put them all up on a wall. Third, put related concepts together, using no more than five or six groups. Fourth, title those groups. These will be your chapter headings. Fifth, put the Post-Its in order under the chapter headers, and now you have a well organized speech. 4. Use an integrated graphics approach in your notes. Using Microsoft Word, speakers’ notes in PowerPoint, or a mind mapping program like Mind Manager (the one we use), prepare your slides so that they are laid out next to your text. This technique can be see in video #9 in our recent article on closing statements. 5. Join Toastmasters. One problem most litigators have is that they do not have enough time to practice their speeches. Some advocate practicing in unexpected places such as the car, and doing so in small segments. One easy place to practice in a structured way is at a Toastmasters meeting. 6. Memorize your opening. My favorite technique for memorizing a speech is to use a spatial technique. Since I remember my childhood home very well, I make sure to associate elements of my speech with places in my house, starting in the foyer, moving to the living room, sitting on the sofa, and so on. 7. Test your work with a mock jury or mock judge panel. There is no substitute for presenting a case in front of mock juries or judges. You will likely prepare earlier than you would have, and the feedback from the mock jurors or judges will guide what to include in your opening statement at trial.